Happy anniversary to Pierre and Beatrice! 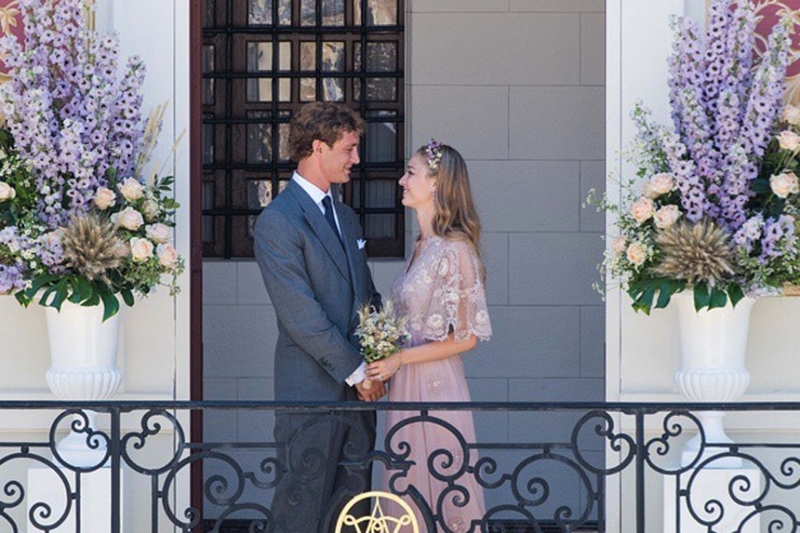 Pierre Casiraghi and Beatrice Borromeo were married in a civil ceremony on Saturday, 25 July 2015 in the gardens of the Prince’s Palace of Monaco, followed by a religious ceremony on 1 August 2015 on the bride’s family-owned Borromean Islands in Italy. Pierre and Beatrice’s first child, Stefano Ercole Carlo Casiraghi, was born on 28 February 2017. Their second child, Francesco Carlo Albert, was born on 21 May 2018.